Soulstorm is the third expansion of the acclaimed video game based on the Warhammer 40,000 universe. 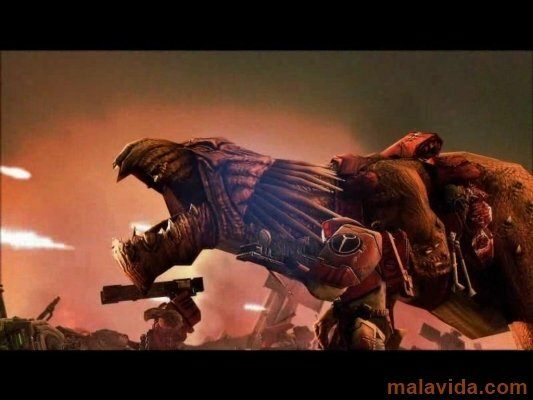 Warhammer 40,000: Dawn of War Soulstorm adds new campaigns, units and covers a bit more of the Warhammer 40,000 universe. Developed by the same studio as Titan Quest, this expansion includes two new factions, the Dark Eldar and the Sisters of Battle, that are added to the seven previous factions: Space Marines, Chaos Space Marines, Orks, Eldar, Imperial Guard, Tau Empire and Necron. We will have to choose a faction and come face to face with the rest of them, to gain control of the galaxy. The war has started and nothing can stop it. The game controls haven't changed at all from the original Warhammer 40,000 Dawn of War, but the graphics that have been included in Warhammer 40,000: Dawn of War Soulstorm have improved quite a lot in comparison to earlier expansions, actually reaching a very high level for a strategy game. The game is fully based on the battles, almost side stepping resource management, focusing our attention more on the direct action. From the first minute we start to fight, we will have to consider each aspect of the battlefield. This demo allows you to play the tutorial and two battles.